I missed the ending last night! Can you give a quick recap after the found the daughter alive in the woods? Thanks! 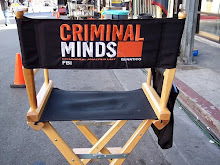 Great episode, loved the story, kept me glued to the screen till the end, the script and Thomas Gibson worked well together, I found his style of Directing smooth and classy, really liked what he did with the scenes, I felt he did a wonderful job on his debut. Also A J Cook was fantastic her scenes were awesome, so glad we finally got a lot more JJ in an episode and it was as a profiler, we got to see her use her skills, how she thinks and feels, I hope we get a lot more of JJ and at work. To Connie, after they found the daughter alive in the woods, she asked if she could see the father, which she did, then JJ took her home, but JJ felt something was off about the daughter and was talking to Reid about it on the phone, and you can guess JJ was right and Reid and Morgan rush to the house to help JJ. I hope that helps a bit without spoiling your enjoyment when you finally see the ending, but it's a great episode.